Jakarta, January 24. The second round of presidential debate themed on food, energy, infrastructure, environment and natural resources will be held on February 17, 2019. The second debate that will take place in the midst of bad spotlight of the first debate is expected to be a means for the public to know on what extent the vision, mission, and work programs offered by two candidates. On the first debate, almost no substantive were delivered, only showing gimmicks that further distanced the issues from the public. Even crucial issues were not mentioned by the two candidates. In the context of environment and natural resources, such as violations against the rights of environment, corruption of natural resources and the rights of indigenous peoples/local communities over natural resources, are not part of the concerns of the two candidates. Khalisah Khalid, Head of Adhoc Political Ecological Justice of WALHI stated that, “we urge the candidates to dare to debate on the substantive level and reach out the fundamental issues of environmental and natural resources, not only limited to environmental issues that appear on the surface.” The second theme of debate is urgent, given the increasing ecological disasters, forest and peat-land ecosystem fires that continue haunting several provinces, and environmental and natural resources conflicts that continue to occur. “The KPU can track down the panelist candidates who have integrity and able to build communication with CSO (Civil Society Organization), who has been working on saving the environment and natural resources and media. 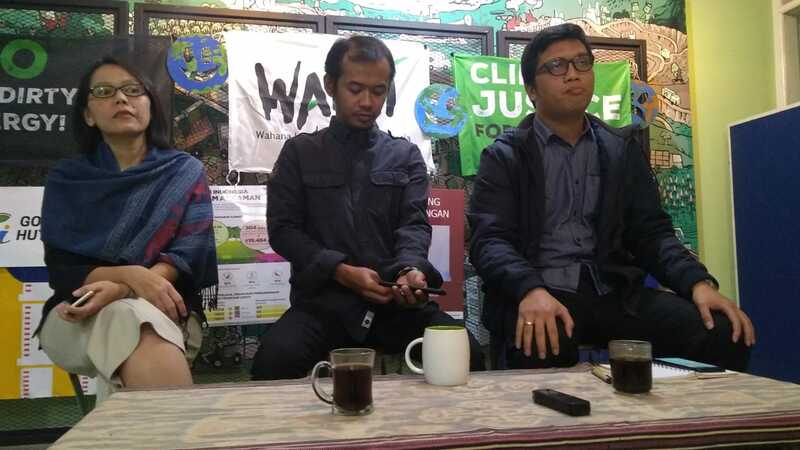 Both candidates should not intervene KPU’s decision in determining the panelists,” Raynaldo Sembiring, Deputy Director of ICEL (Indonesia Center of Environment Law), added. In conclusion, we urged the KPU as the body who organizes the elections and candidates, not just to become an election as a mere symbol of party for democracy, but a momentum to achieve the goals of democracy, the welfare and safety of the society.